This is seriously one of my new favorite meals… I have had to make a point to self-edit, and refrain from buying the ingredients every time we grocery shop! Matt told me this week that it reminds him of one of those dinners in a box that he used to buy all the time and loved… I think it was a compliment? Regardless, this is the easiest thing ever. I made a double batch this time, and will be showing you that, but will give you the original recipe with four servings. Sorry if you are offended by raw meat… I should have warned you. 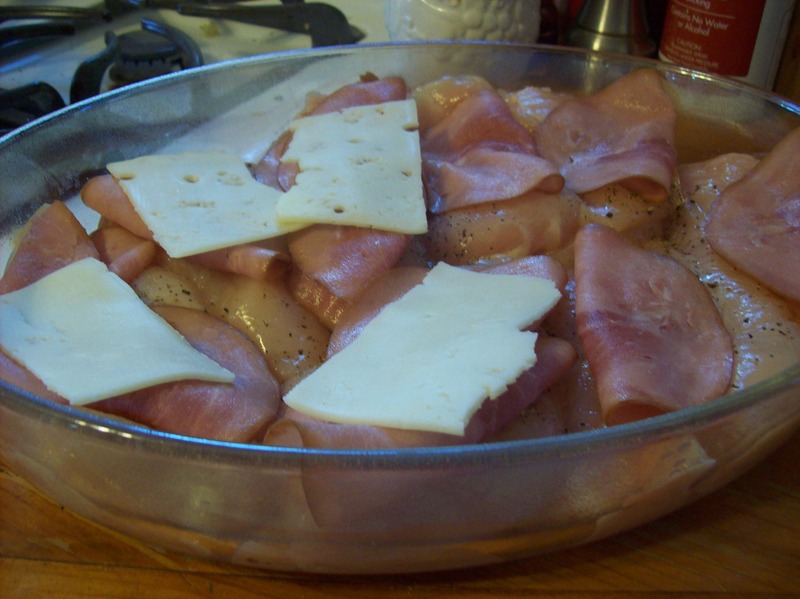 Next, you will cover each chicken piece with 1-2 slices of ham… we use small deli slices so I use two. Then, top with half a slice of swiss cheese. 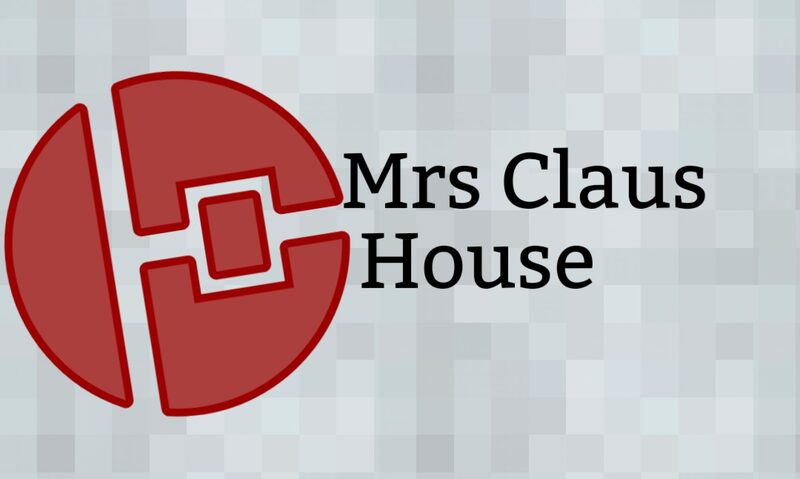 This next step is really complicated. Are you ready? You are going to open a can of cream of chicken soup. 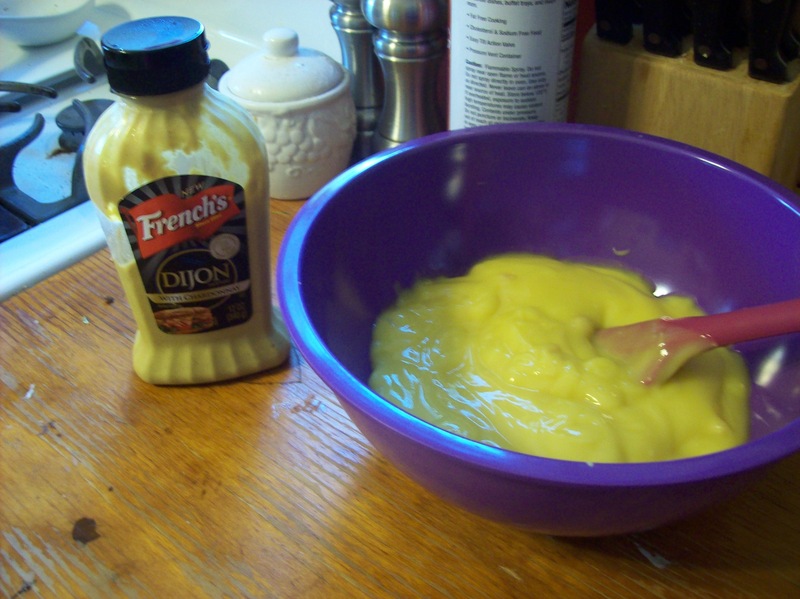 You will then pour it into a bowl, and add one tablespoon of dijon mustard, and you will mix it up. Please, for the love of you tasste buds, by the Campbell’s brand. You will be glad you did. Finally, you bake at 400 degrees for 30 minutes. And, viola! Prepare stuffing as directed. Preheat oven to 400 degrees. 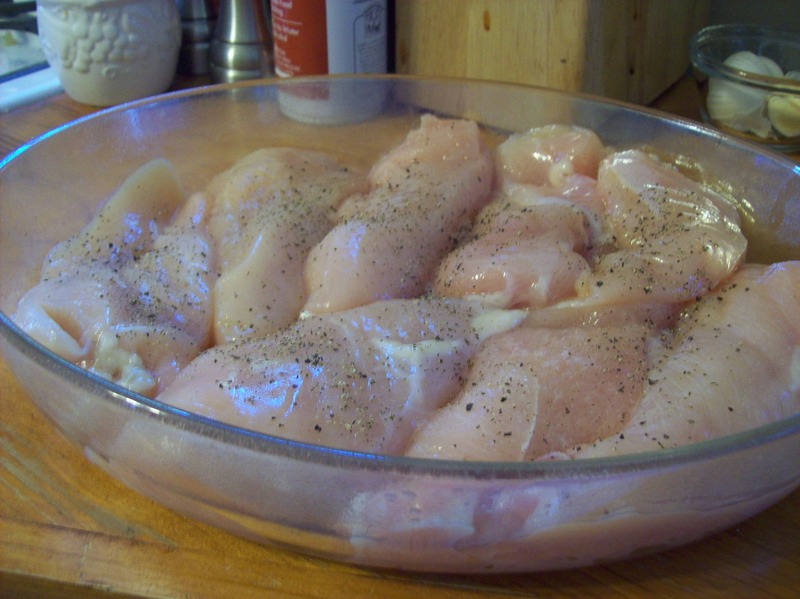 Arrange chicken in a greased casserole. Top with ham and cheese. Mix soup and mustard. 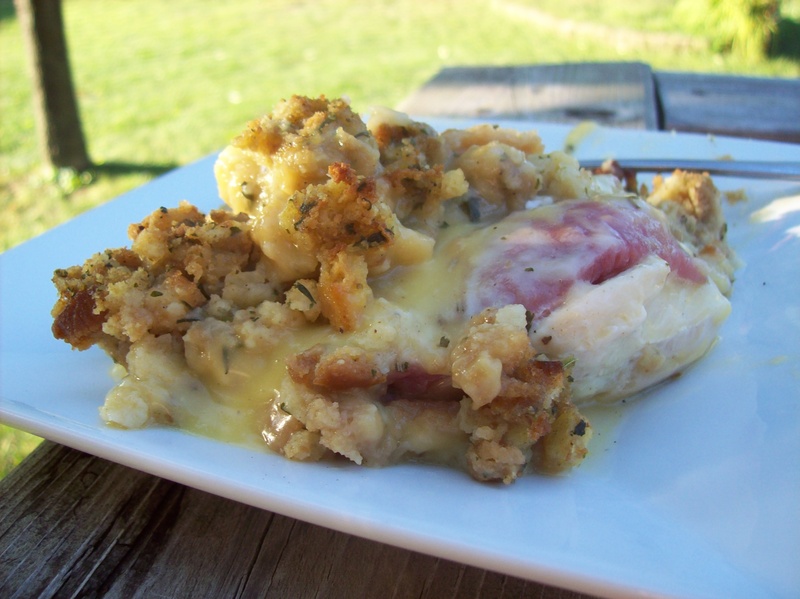 Spoon onto top of chicken/ham/cheese. 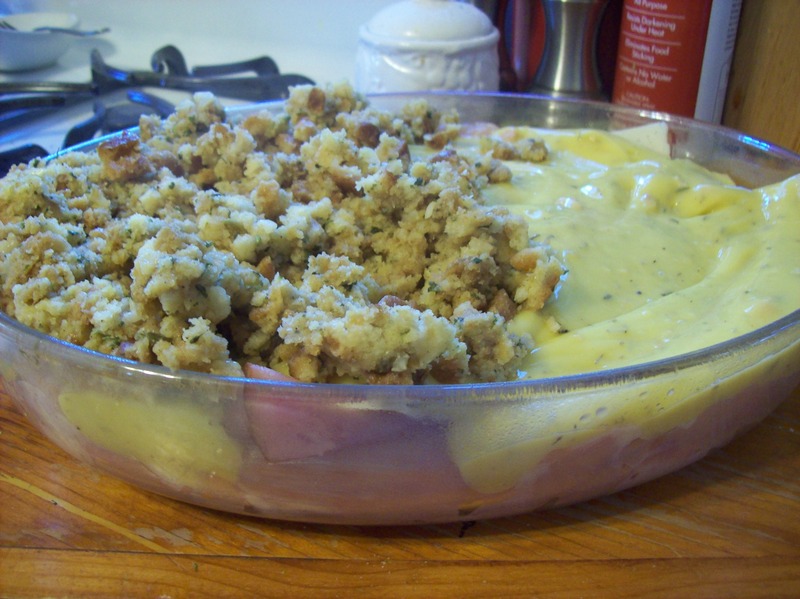 Cover with stuffing. Bake at 400 for 30 minutes until meat is cooked, reading 160 degrees on a meat thermometer. Note: if you are going to double this, add about ten minutes to baking time. Now, I will be going… I made bacon in the oven, and will be needing to get it out now 🙂 I’m making chili!! !